Less pain, faster recovery, and a speedy return back to the active life you love. Imagine this scenario. You can walk again the same day of your hip surgery. One or two days later, you’re practically sashaying right back out those hospital doors. A few weeks later, you’re back to living your best life and doing all the things you love. Sound ideal? You’re in luck because that’s exactly what anterior hip replacement will do for you. Dr. Craig Mines is one of the only surgeons in Georgia to offer a kinder, gentler approach for those looking for hip replacement surgery. The anterior approach to hip replacement is an advanced surgical technique on the front of the hip, rather than on the side or back. This method uses muscle sparing strategies to reduce muscle trauma so you can get back to morning strolls, grocery runs, or your favorite sport in no time. Unlike traditional hip replacement surgery, the anterior approach is far less invasive to the pelvis muscles or femur. Almost immediately, you’ll be able to freely bend your hips again or bear a comfortable amount of weight on the area. You are a individual, your knee should be individualized. Custom-made no longer applies to only furniture, vehicles, or accessories. Designed and crafted specifically for your body and lifestyle, Conformis is the new standard for knee implants. From cyclists, marathon runners, salsa dancers, golfers, and other top athletes, getting back to an active lifestyle (with more energy and pep than ever before) is a breeze thanks to a Conformis implant or two. How does it work? Advanced 3D imaging technology is combined with the latest manufacturing methods so each and every implant is unique. There’s no “one size fits all” here. Dr. Mines is one of the few offering and trained to perform Conformis Knee Replacement. Matching every angle and curve of your natural knee, Conformis allows Dr. Mines to work his magic and deliver the best outcome for your knee replacement surgery. A custom, individualized fit based on your anatomy. Aligned to both of your knee joint lines, which often vary in height. Do your knees suddenly flare up in discomfort after any kind of physical activity? When you stand up from a seated position, do you notice pain or stiffness in your knees? Do you take anti-inflammatory medication to ease your persistent and ongoing knee pain? If you nodded your head yes, it may be time to introduce your knees to a state-of-the-art robot called Mako. MAKOplasty, a surgical procedure, is a new robotic-assisted alternative to total knee replacement. As with anterior hip replacements, Dr. Mines is one of the few surgeons in Georgia offering this innovative and successful surgical approach. Treat your knees like you would any other part of your body when you know it’s calling for help. Talk to us about MAKOplasty and we’ll get you moving and shaking again like the good ol’ days. Generally for those with severe cases of osteoarthritis, even those with limited joint damage can now be successfully treated with partial knee resurfacing. MAKOplasty is typically recommended for adults living with early to mid-stage osteoarthritis in the knee. One of the main benefits of partial knee resurfacing is the ability to target the damaged area of the knee without compromising the healthy bone and tissue. Thanks to the precision of Mako’s robotic-arm technology, Dr. Mines can isolate the arthritic part of the knee without having to replace the entire knee joint. Optimal implant positioning for a natural-feeling knee post-surgery. A procedure resulting in a much shorter hospital stay compared to the longer recovery time of a traditional knee replacement. Rapid relief from pain and a swift recovery. Treating children and adults with care and compassion. 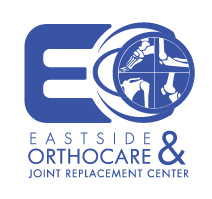 We’re here to help with common fractures, general orthopaedic issues, primary and revision, joint replacements, and more.